Congratulations to the winners of our Leeds Luminaries Awards 2018. 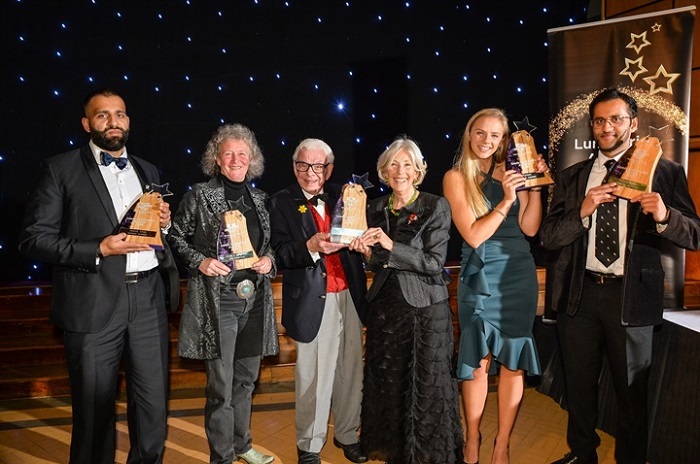 Alumni from the last seven decades were honoured at the inaugural gala dinner and presentation hosted by comedy legend Barry Cryer (OL53). The writer and performer was guest of honour at the awards dinner which was held in recognition of the achievements of former pupils from its founder schools, Leeds Grammar School and Leeds Girls’ High School, as well as more recent leavers from GSAL. The Leeds Luminaries awards were launched to mark the 10th anniversary of the merger of Leeds Grammar School and Leeds Girls’ High school to create the coeducational GSAL. The next Leeds Luminaries Awards will be presented in 2020.